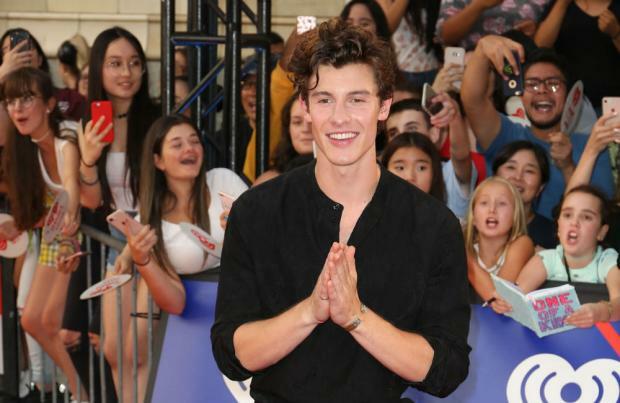 Shawn Mendes is "really nervous" for the Grammy Awards. The 20-year-old singer's track 'In My Blood' is up for Song Of The Year and he is also nominated in the Pop Vocal Album category at the ceremony next month and he admits he is really nervous as he can't help but care what people think of his music. Speaking in a video posted to Instagram, he said: "I was thinking about being really nervous for the Grammy's and what makes me nervous when I'm performing and I realised that I care so much about what people think, whether it's people sitting in the audience or if it's what people are thinking online. I sit there and i just think in my head 'Right, what do i have to do right now to impress people' and I realise that's the backwards thing and what I have to truly do is sit down and sing my song and truly connect with it. [I need to] get goose bumps form the fact that I'm enjoying what I'm doing so much and the only way the audience can truly feel, is if i'm feeling it too. If you are passionate about something or if you can take this in your own way ... the goal is not to impress people, if there's anyone you should worry about impressing it's yourself." Meanwhile, Shawn previously revealed he can't wait to get out on tour and will perform songs from his self-titled album live for the first time when he tours in 2019. In a series of tweets, he wrote: "Dying to get back on tour and play this album for you guys!!!!!!!!! I cant believe I haven't even played most of these songs live yet! (sic)"
Listing the songs, he added: "Mutual! Why! Particular taste! Etc t etc!!!!! (sic)"